Memoir writing is often referred to as "a healing journey." But is that an accurate way to describe coming to terms with grief? In this thought-provoking essay Daisy A. Hickman shares her views on life after loss. 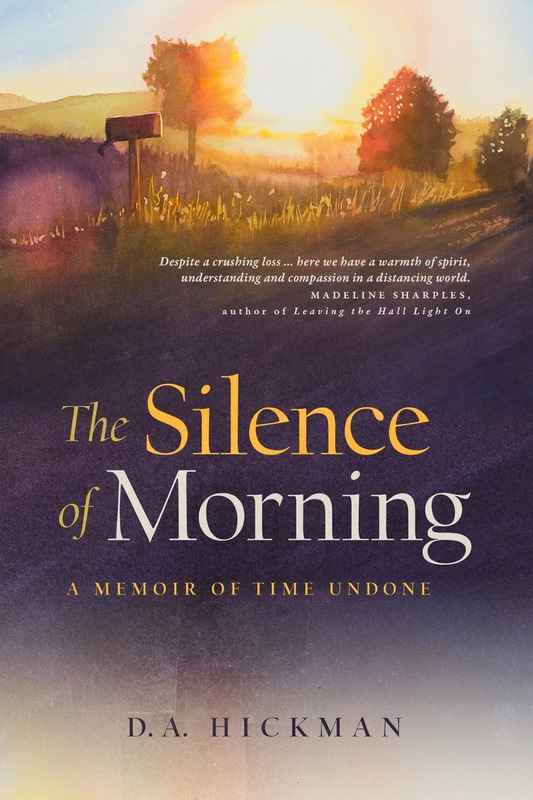 Daisy's memoir, The Silence of Morning: A Memoir of Time Undone, is due out next month. Please welcome Daisy to the Women's Writing Circle. "Life begins on the other side of despair." When I waded into the deep waters of grief, and thorny, but related, societal and cultural issues, it seemed so many thought my book—the work of memoir writing—was all about “healing.” A rather self-absorbed devotion to getting over something, feeling better, or carving out a peaceful perspective against the harsh landscape of loss. But during seven years of intense work, I was often tempted to say: “I don’t relate to healing in this context.” I rarely even used the word in a 350-page memoir, forthcoming, November 2015. I know … it’s an extremely common theme in the grief literature, in conversations among those of us who compare notes about deeply challenging, traumatic experiences. Healing has its place, as a topic, as a goal. It sounds logical, realistic, and appropriate given the dark terrain of absence. For me, though, the concept—maybe the word itself—didn’t resonate. When I think of “healing” … I imagine a broken arm, surgery, or a trip to ER for stitches after a nasty fall. The physical connotation, in other words, is what “healing” brings to mind … not a timeless spiritual journey without boundaries or precise definition. There are other reasons I have been reluctant to adopt this term, this process, as something I find meaningful when it comes to the complexities (and mysteries) of loss. For one thing, the obvious insinuation is that an individual (a group, community, or nation) has been damaged, hurt, or possibly taken ill and is therefore suffering from a condition or disorder that is viewed as alarming or extremely worrisome. And I can see how this perspective, in some ways, might apply to the dynamics of significant grief. Pain, yes, of course. And feeling “ill” wouldn’t be totally inaccurate, especially at various points along the journey. The very early months, for instance, or perhaps when certain milestones come into view. Maybe something triggers a powerful, but unexpected memory – one touching a deep emotional current within. Grief, undoubtedly, does produce visceral symptoms. But it seems that an important distinction should be made in regard to context. After someone we love departs from the world as we know it, an unfathomable void remains – one that exists on many levels: physic, spiritual, emotional, historical, or familial (whatever words you prefer). That massive void is the key to everything that happens on the road ahead. Should we ignore it, embrace it, gloss over it, medicate ourselves, or one day, try to “heal” it? Each person grapples with loss differently; whatever has worked for you is what counts. But, for me, the objective of healing an inexplicable void felt misleading and not very helpful … when, most of all, I yearned to understand that void. What, exactly, is a void? For me it was the sudden presence of an empty space (within, without) of unknown dimensions – something to experience and learn from, instead of healing from. It didn’t feel optional, either. I would have to explore, slowly, deliberately, its frightening depth: its darkness and purpose, size and shape, its vague edges, and curious intensity. Clearly, and this was a key insight, this “void” was also an inescapable part of life … especially in the spiritual sense. “What wasn’t,” yes, but also “what is.” Something, ultimately, not to reject or deny, but to acknowledge, and eventually, embrace through surrender and understanding. So if “healing” is the right word at all, it may be in the sense that, finally, the unknown becomes the known … assuming our lack of awareness is something to be “healed” from or rescued from. But this is really not my idea of healing, either. This, if we must pin it down, is what many refer to as awakening, or growing closer to enlightenment. I think of this demanding and delicate process as spiritual growth. And “spiritual” doesn’t necessarily need a “religious” component. It’s actually about discovering our inner core, then figuring out how to live from a deeper, more expansive perspective, one that includes our acceptance of the limitations (and hidden possibilities) of mortality. No doubt, profound loss is a catalyst for many things: for personal growth of various kinds. Yet, a catalyst has the obvious potential to propel us forward with “new eyes,” especially when we are honest and diligent about honoring its sometimes challenging guidance. 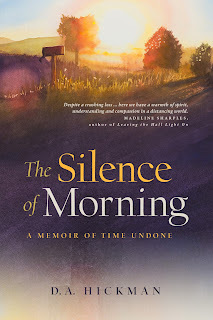 I wrote in my memoir, The Silence of Morning: A Memoir of Time Undone, that grief is about life integration, not about moving on or getting over something … it is a deep (and abiding) kind of love. My son was gone at 27, but not in the spiritual sense. My journey, and his, somehow intertwined. And, yes, figuring this all out took a very long time. But I never thought of my journey as “healing” (a word that felt curiously simplistic, laden with the heavy, misdirected expectations of a time-based world). Death, like the void loss creates, is intrinsic to life. Not a disease, a mental problem, or a surgical procedure. And while it produces despair, anguish, and uncertainty, experiencing the death of a loved one is a valuable entry point into the mystery of unseen forces that offer liberation from our suffering. D.A. (Daisy) Hickman is a poet, an author, and the 2010 founder of SunnyRoomStudio—a creative, sunny space for kindred spirits. Hickman holds a master’s degree in sociology from Iowa State University, and earned her bach­elor’s degree at Stephens College in Columbia, Missouri. 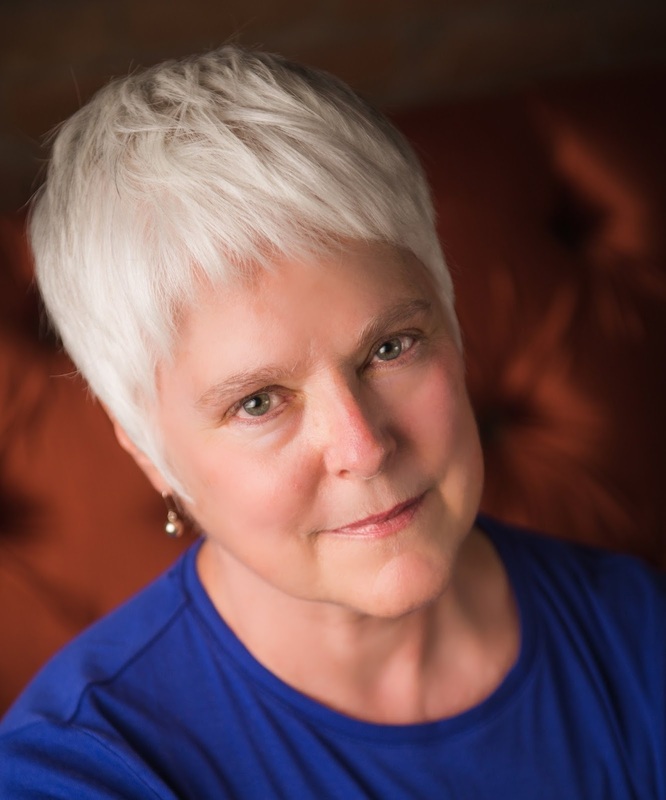 A member of the Academy of American Poets and the South Dakota State Poetry Society, Hickman is at work on her first poetry collection, and her memoir is forthcoming. Hickman’s first book was published in 1999 by William Morrow (Eagle Brook imprint) as Where the Heart Resides: Timeless Wisdom of the American Prairie. Second edition, Always Returning: The Wisdom of Place, 2014 (Capturing Morning Press).